We all love a great bubbler. 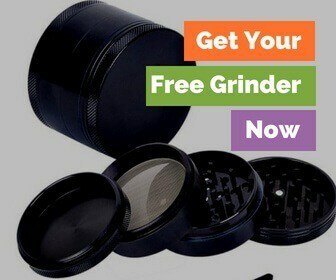 It tones down the harshness of hot smoke, adds to the complexity of your cannabis’ flavor and makes a fun noise as you draw through the mouthpiece. However, there are so many bubblers out there, how do you know which one to choose for your needs? I will go over the pros and cons of the some of the best bubblers that you can purchase anywhere tobacco products are legal. With the glass feet on the bottom, the Nucleus Color Accented Hammer Bubbler maintains strong traction with its surface, making for abandon-free rips. What’s so great about a hammer bubbler is the fact that the stem points downward. At the bottom of the downstem, lies a few little slits that allow the drawn smoke to get pulled into the water chamber. This action causes a funnel-like movement that in turn mimics a percolator which ends up filtering the hot smoke. Simultaneously, all the ash you produce from lighting up (and loose bits of weed) falls into the water, rather than up the mouthpiece. This makes for much cleaner rips than other types of bubblers. The mouthpiece is contoured to fit your mouth as you inhale the smoke comfortably. Nucleus Color Accented Hammer Bubbler’s basin is very wide and deep. Therefore, you can dictate the length of your smoke session from the onset of the first bowl pack. Functionality aside, this is a really pretty piece. The bubbler comes in many vibrant glass colors that are thoughtfully integrated throughout the design and compliment the overall crystal clear glass aesthetic. The Nucleus Color Accented Hammer Bubbler would be a standout amongst other pipes in your glass case. We might want to stop here because the Grav Labs 3-in-1 Helix has it all. What makes this bubbler a 3-in-1 is the fact that it has features that work as a bubbler, one-hitter, and spoon pipe. Within the piece lies a Venturi Chamber. Along the shoulders of the Venturi Chamber lies a number of micro-holes. They are placed in an angular fashion, causing incoming smoke to create a tornado-like effect. Whipping out the smoke from all directions causes a much smoother, cooler pull from the mouthpiece. The Helix’s downstem can then second as a spoon pipe. When combined with the one-hitter attachments that come with the pipe, you can quickly turn the Helix into a one-hitter. Lastly, Grav Labs throws in a keck clip. Along with the downstem, there is no way you will lose precious flower during your smoke session. While it’s a 3-in-1, the Helix only measures at 10 mm, making it easily portable. Apparently big things do come in small packages. Not to be outdone by Nucleus, Grav Labs offers their version of the Hammer Style Bubbler with Colored Accents. This version, too, is made of crystal clear glass that is accented with beautiful colored blown glass, including the two feet located that are also located at the bottom of the downstem. Regarding puffing away, Grav Labs doesn't have the contoured area around the mouthpiece made for comfortable drags that the Nucleus boasts. With that being said, the opening still gives you plenty of space to allow a good, cozy suction full of smoke. One thing that the Grav Labs does have as an edge is its height. Nucleus’ product measures in at 4.5 inches high. However, the Grab Labs edges the Nucleus out with 4 inches, making it slightly more portable. Although smaller, you can still pack quite a bit into the deep basin of the Grav Labs. In fact, the amount you get into both is probably comparable. So, in terms of getting more smoke on while carrying less pipe, Grav Labs get the win. Lastly, Grav Labs has perhaps the most reputable glass in the industry. Being made of Borosilicate glass, the durability and resilience of Grav Lab's bubblers are downright amazing. If you’re the type of smoker who can’t have nice things, the Purr2go is the first nice thing you can actually have! Go ahead and drop it. Manufactured by a polycarbonate injection molding process, the Purr2go is indestructible, making it always good to go! Not only does the Purr2go come with a glass bowl deep enough for a good portion of dry herb, but it also comes with a Titanium nail to use for dabs and concentrates, fitting like a glove in most oil rigs. Deciding to pack up and go? That’s what the Purr2go has perfected. Simply take the downstem off of the piece, clean it, and put into the padded carrying case supplied by Purr2go. As far as cleaning, make sure to do it often. Switching up Purr2g0 uses between flowers and stickier substances like oils don't make for the cleanest pipe on the market. While convenient to swap in and out based on your mood, this piece tends to gunk up a little quicker than all the others on the list. Lastly, the mouthpiece is also detachable on this bubbler. Therefore, if you have a favorite, you can substitute it in. Otherwise, you can also use the mouthpiece from this bubbler on another piece. This is the first Sherlock bubbler of the group. You can tell this UPC Glass is this type of bubbler by its S-like shape...or the fact it looks like something literary icon Sherlock Holmes would puff on. With such a deep chamber and the stem’s spiral shape, the smoke inside dances wildly over the water. While cooling down the smoke, and knocking out any extra contaminants, the UPC makes for a real smooth smoking experience. Smoking from the UPC Glass Gold Fumed Sherlock Bubbler can credit the long downstem for its purer hits, but it also makes it much less convenient to travel around with. On top of its tasty flavor, the UPC Glass is finished with a gold-fume. That means it was treated with heat in a way that when the glass gets put under pressure (like coming in contact with hot smoke), it changes the colors of the pipe. You may want to use a keck clip when smoking out of the UPC Glass Gold Fumed Sherlock Bubbler. It is designed a touch off-balance. Therefore, a careless smoker runs the risk of knocking their goods all over the place. The Sesh Supply Castor is the first cube perc on the list. Since the smoke you inhale goes through a cube covered with micro-holes, the cloud gets filtered before hitting the water.Once it hits the water, the purified smoke becomes cooled, making for a super smooth draw. Not only does the cube add to the experience taste-wise, but it's also a fun convo starter. That’s because this bad boy lights up in the dark, along with the end of the mouthpiece. One of the other standouts of the Sesh Supply Castor is the look of the bubbler. It has a bit of an old-school bar stein touch to it with the Sesh Supply logo sprawled over the downstem as if it were the Cheers logo. Perhaps the most unique of the bunch, the Nucleus Silicone Cone Bubbler looks like a nose aspirator you would torture your newborn with. However, this is a big kid toy that will bring you anything but torture. Just roll up a j as it can easily be filtered with the Nucleus Silicone Cone Bubbler. All you need to do is place your joint...into the joint. Conveniently, on top of the joint lies a carb hole for an added rush. The smoke from your joint will run through the water and be filtered as it hits the mouthpiece. For your convenience, the Nucleus Silicone Cone Bubbler comes with a suction bottom that holds onto most surfaces. To carry around, the bubbler comes with a loop that you can attach to any necklace or lanyard. Seeing as this is silicone, the Nucleus Cone Bubbler can take quite a beating in transit. Just be sure to empty out the water before you go! The top easily comes off for swift cleaning, so no need to spill it all over your bag in transit! Lastly, this piece comes in multiple colors. However, you should be warned that for the ultimate smoking experience, you might want to opt for the blue version of the Nucleus Silicone Cone Bubbler. That's because of the blue version glow in the dark! This is very bare-bones, what you get is what you see kind of bubbler. However, what you see, you should like. The Grav Labs Upright, 6 Inch Bubbler, comes with the most solid base of all the bubblers on the list. So there is no need to worry about this thing going anywhere! With its diffusion percolator, smoke gets sent in many directions, creating a seriously clean cloud of smoke in its wake. While this is one of the most quality, no-extras-included bubblers you can find, there is one caveat you may need to take into consideration when it comes to purchasing the Grav Labs Upright 6 Inch Bubbler. Where the opening for the bowl is, it turns directly into the downstem. Therefore, you might want to invest in a screen. While you won’t be sucking up all that ash and loose flower, it can end up getting clogged in the diffuse percolator. Given its small slits, those are a bit of a pest to clean, but not enough to turn you away from buying this simple bubbler. There’s a reason why some people (or pipes) are called black sheep. That’s because there’s something special about them. Surely, there is something very special about the Black Sheep Dual Chamber Bubbler. 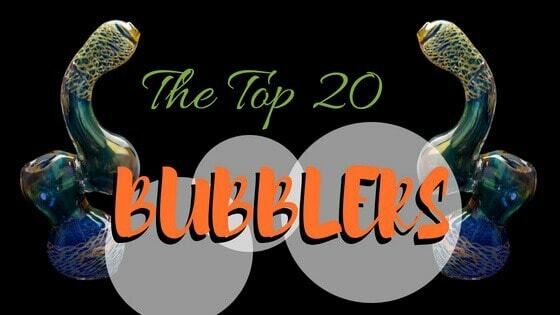 It will give you the smoothest smoking experience out of any of the other bubblers that are on this list. With the Black Sheep, they took what is a run-of-the-mill sherlock bubbler and loaded up another chamber to it. Doing this allows your smoke to do a thorough dance through the chambers, circulating around the water, and being diffused for a maximum filtered experience. In the first chamber lies a showerhead percolator. Once filtered through, the smoke then enters the second chamber through a diffused downstem percolator. So, not only is your smoke being filtered twice, but it is being pushed through by two distinct methods. It's like mixing together two types of buds for a unique hybrid high, except you're blending together two ways to smoothen out your smoke sesh. Not only does the Black Sheep have a lot of room to filter your smoke, but it also allows for maximum capacity bud packing in the basin of its deep bowl. Last is certainly not least as we round out the list with yet another quality Grav Labs product. The Grav Labs Upline Upright Bubbler is a very in-depth piece, definitely not intended for beginners. However, it is a beast of a bubbler and an amazing addition to any smoker’s arsenal. When you look at the Grav Labs Upline Upright Bubbler, it looks like an empty liquor bottle. At the bottom of this massive bottle, you will notice rings. These are what gives Upline one of the most thorough filtering processes. On top of whipping your smoke into tip-top shape, these rings also make for some real intense bubbles. Coupled with the audible rip-roar that only Grav Labs pieces can do, this makes for a fun smoking experience. Aesthetics aside, what is nice about the rings inside the chamber is not only do they make the inhale less harsh, but they give the smoke pull a bit of momentum. That allows you to rip from the bubbler without using much lung power. Not all bubblers hit the same, so picking up one of the best bubblers is a MUST. You really can't go wrong with any of the bubblers on this list—they're all great. If you get a small one, make sure to not over fill it or you could end up with a mouthful of bong water... yuck. Do you prefer a bubbler over a bong?